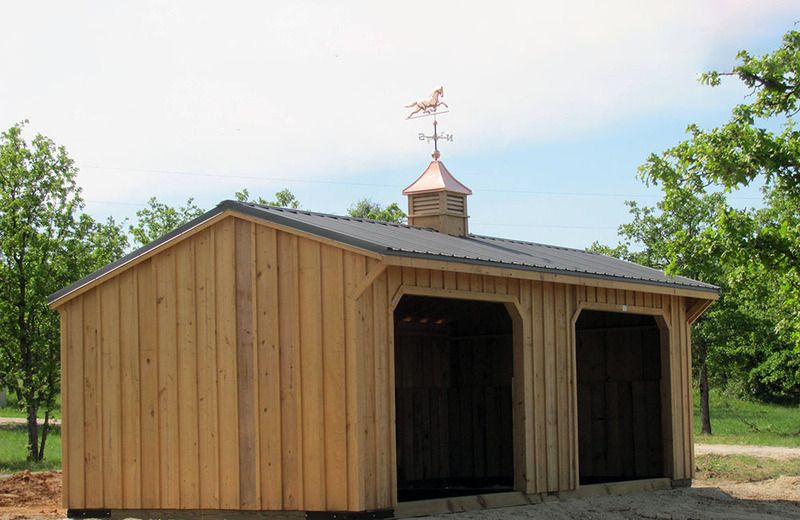 The pre-built run in horse shed provides shelter as well as easy access, for both the horses and the riders, trainers or owners. 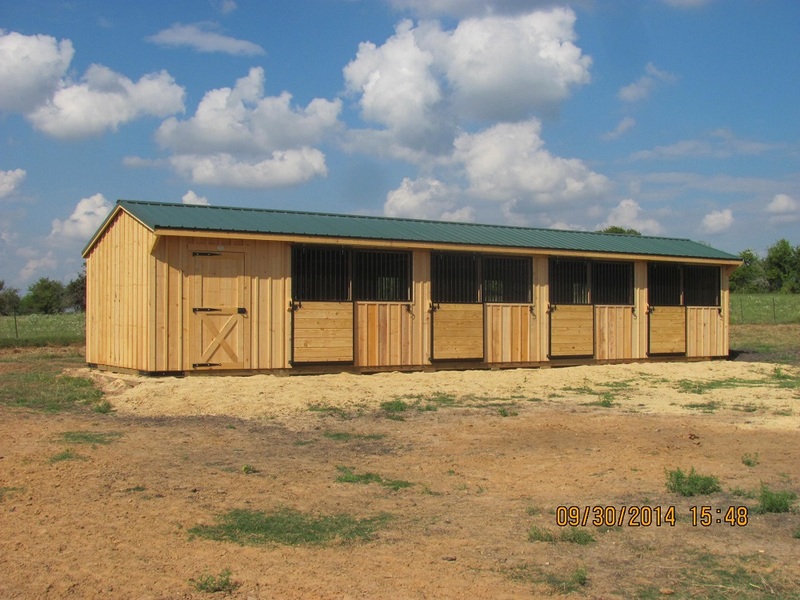 The portable 12 foot wide horse sheds, the largest run in horse sheds available, provide the maximum amount of space and the provides ample shelter for as many as four or five horses. 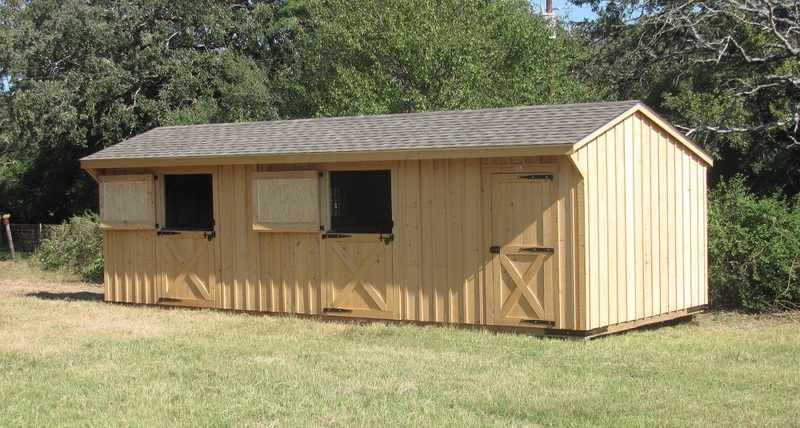 The run in sheds can also be used for other animals and livestock as well, with customization available to serve any need. 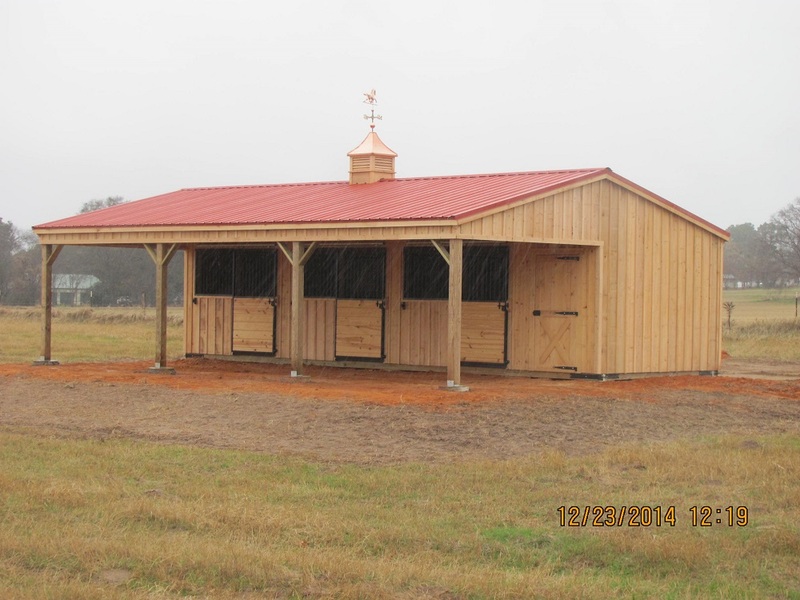 Each portable horse barn is made from tough cypress wood so it is resistant to mold, mildew, rot and bugs. 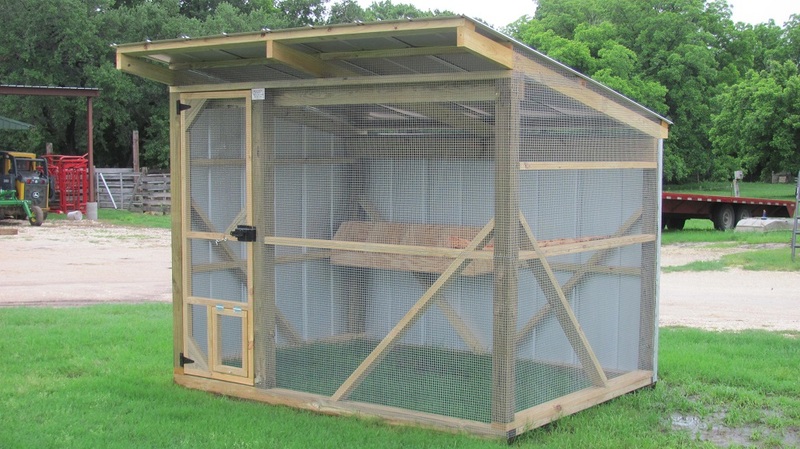 Made from tough materials with a sturdy construction, your run in shed will endure years of harsh weather as well as kicks and knocks from the animals it shelters. The portable design allows you to relocate the shed wherever needed, so all of your animals will have a haven against the elements. 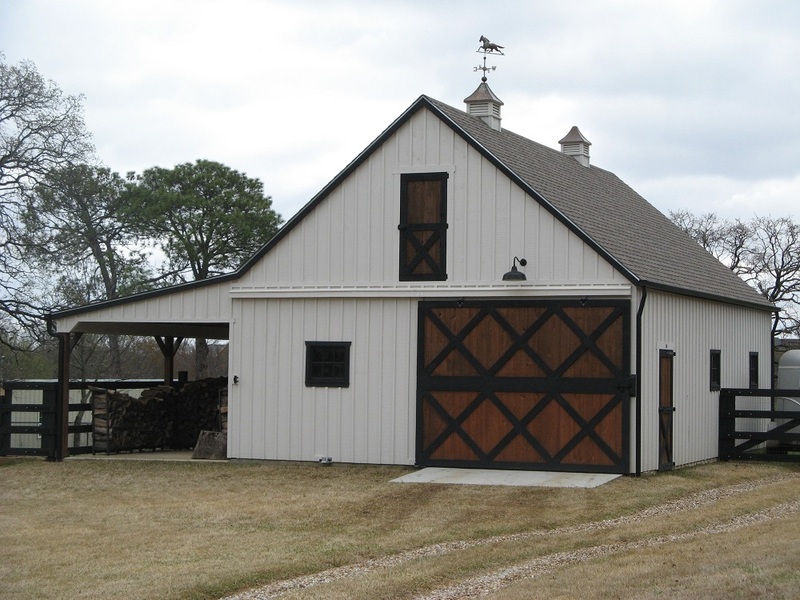 Open on one side and covered on three sides, animals can move about freely through the shed, making the structure an ideal asset to exercise yards, pastures and fields. 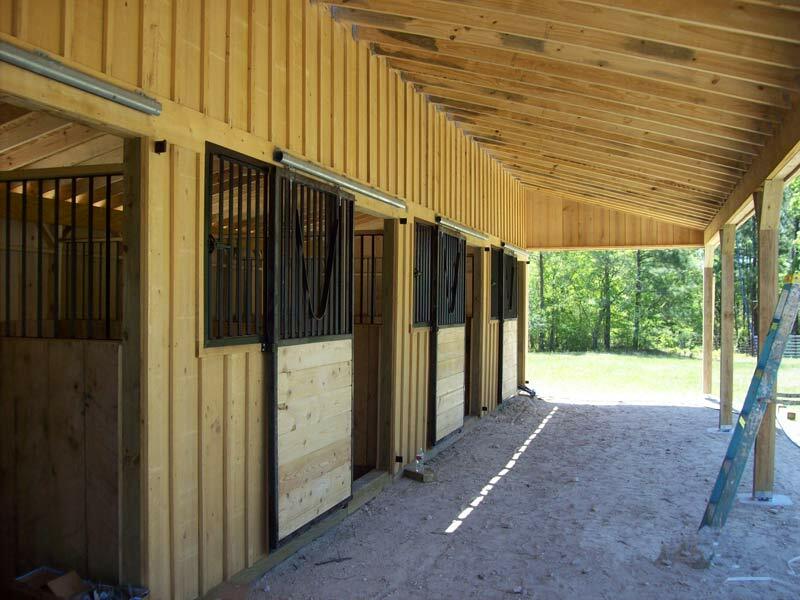 This way, you can let your horses roam without having to worry about their exposure to the sun, rain, wind or cold. 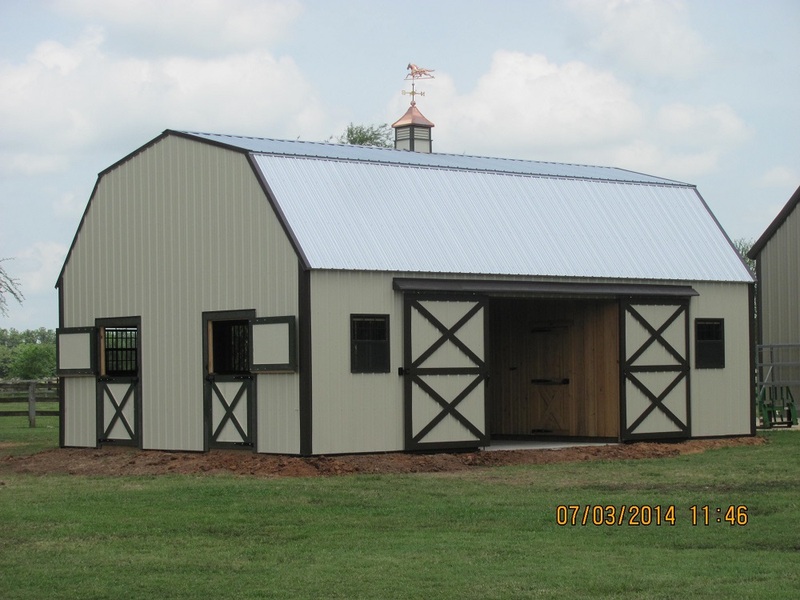 The portable run in shed may also be used to house feed for the animals or tack for the horses. 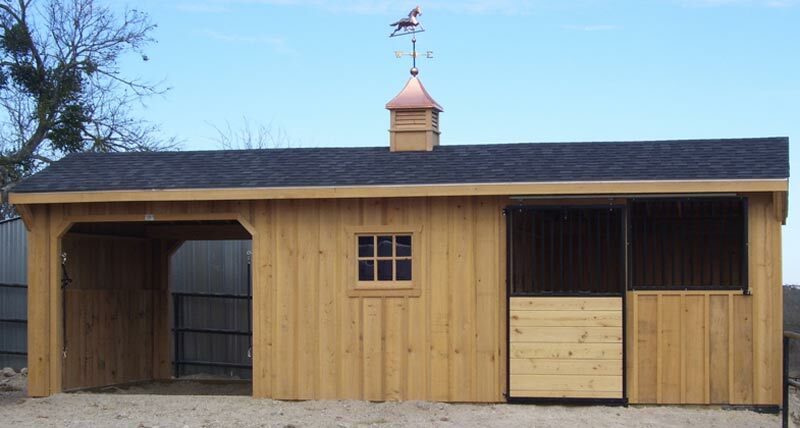 The prefabricated 12′ wide horse run in shed is the largest of the shed varieties, and it is ideal for the horse that requires extra room or the rider who prefers space to move around while mounting, dismounting, brushing or tending to the horse. Large draft horses and warmbloods benefit from the extra space, as well as energetic horses or aggressive horses. 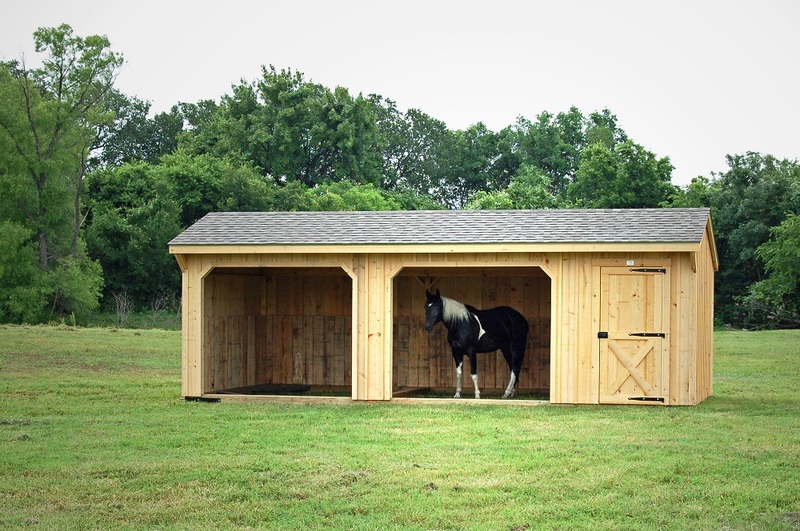 If you are training your horse to adjust to tacking, riding methods or other instructions, a larger shed will give you plenty of space. 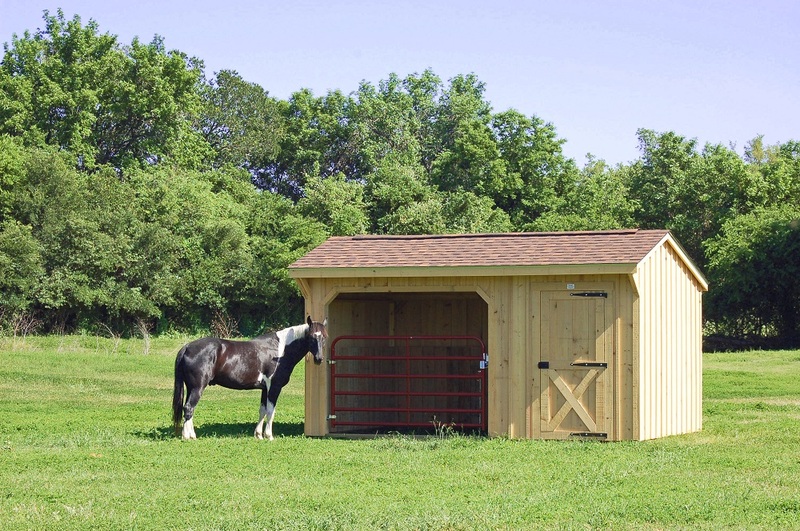 Portable run in sheds are the perfect combination of shelter and freedom for a horse that is not well adapted to stables and barns, or for smaller ranches without larger sheltering buildings. 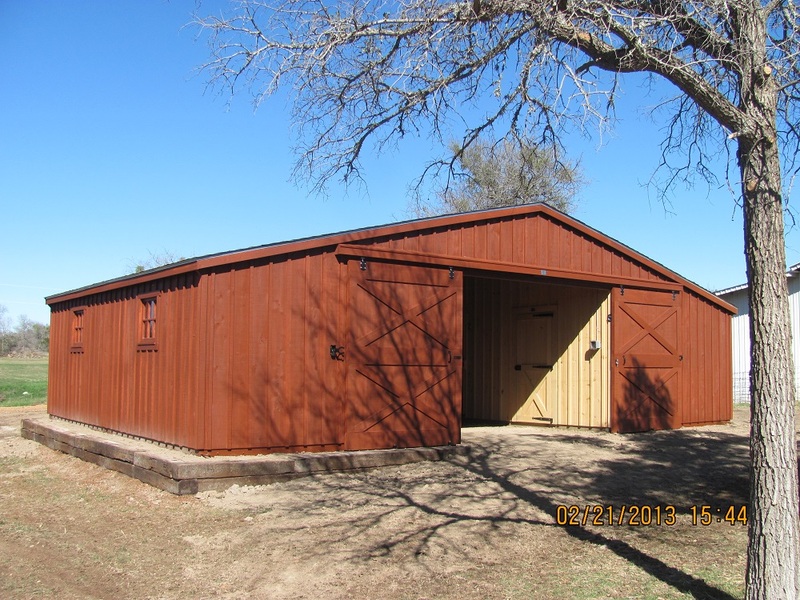 The run in portable shed is an affordable alternative to a large barn or stable, with all of the shelter that the horse requires in a warm climate. 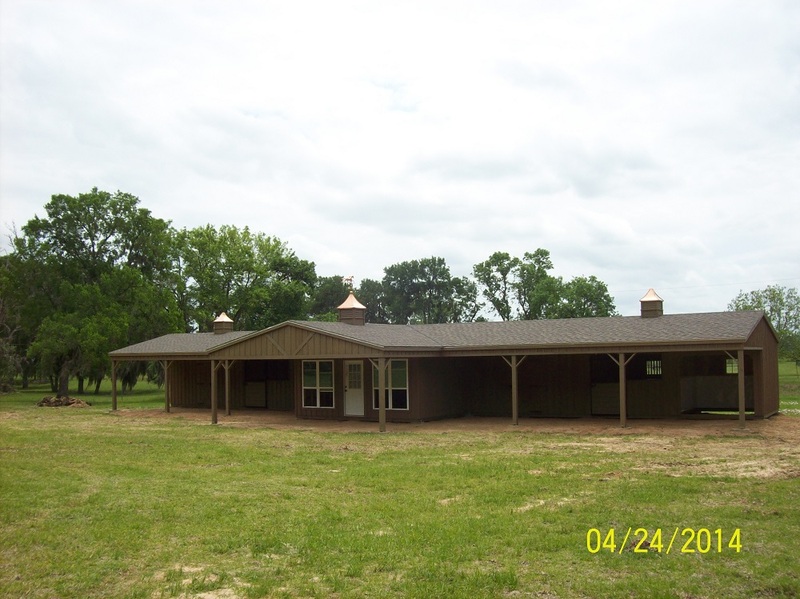 DEER CREEK STRUCTURES WILL CONSTRUCT AND DELIVER THE SHED TO YOUR HOME OR RANCH IN TEXAS OR SURROUNDING STATES. 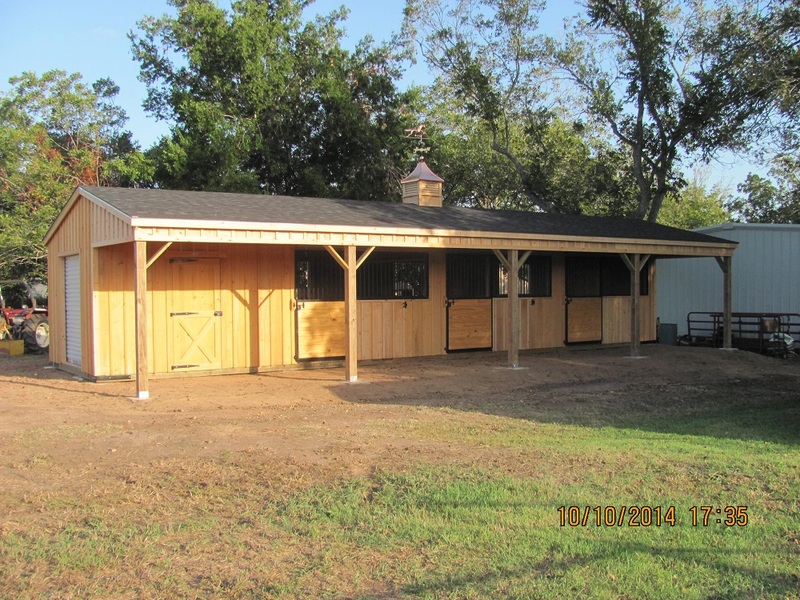 You can also customize your shed with other options features, including partitions between areas, tack and feed rooms, flooring, gates, overhangs, vents, several different shingle color varieties and seal and stain treatments for the cypress wood. 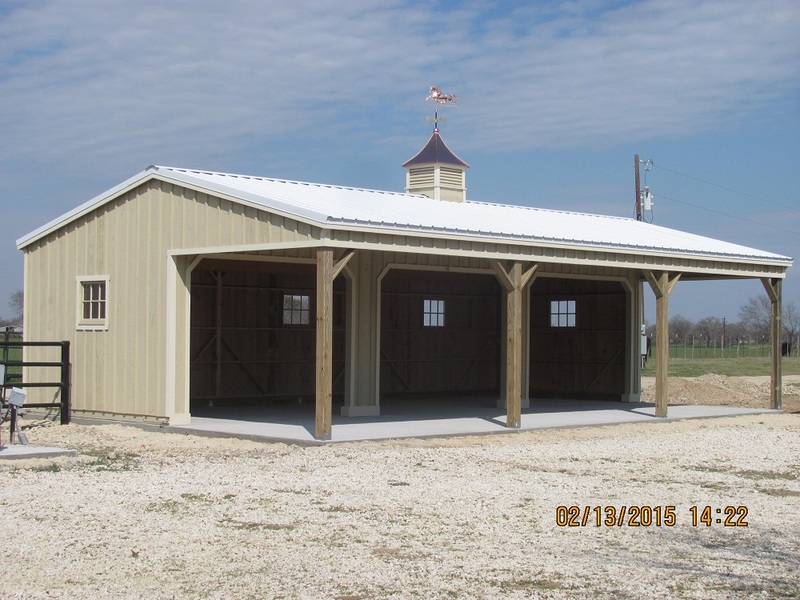 Read more online or call Deer Creek Structures to learn more about the run in sheds available. When you are ready to order, call or use the convenient online form to make your specifications. 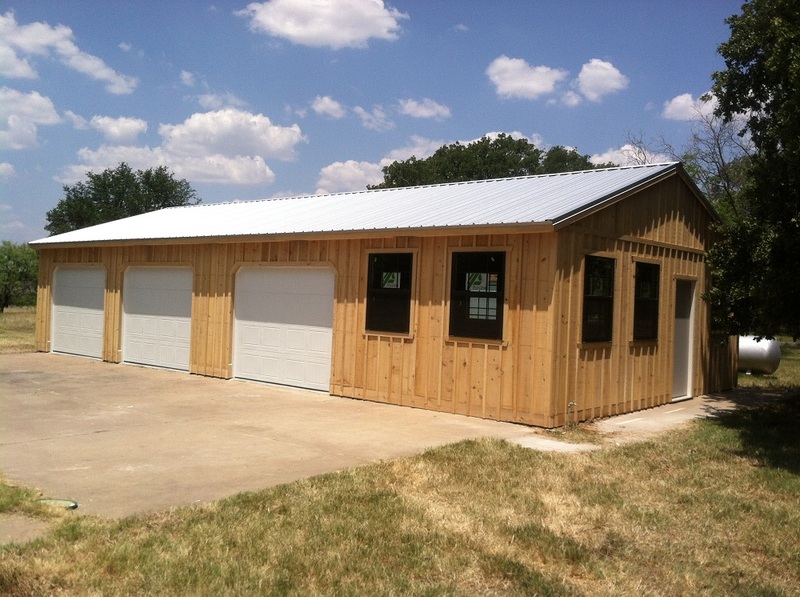 12’ RUN-IN SHED PRICING. FIND YOUR SIZE. 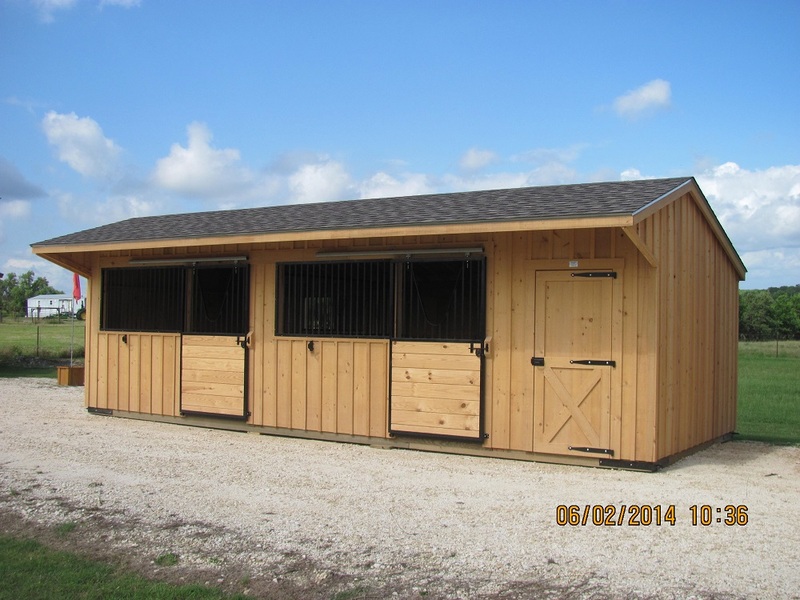 Check and see what size run in horse sheds we have on our lot. 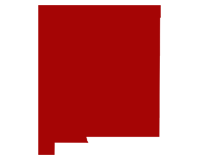 We carry the most popular sizes and available for quick delivery. 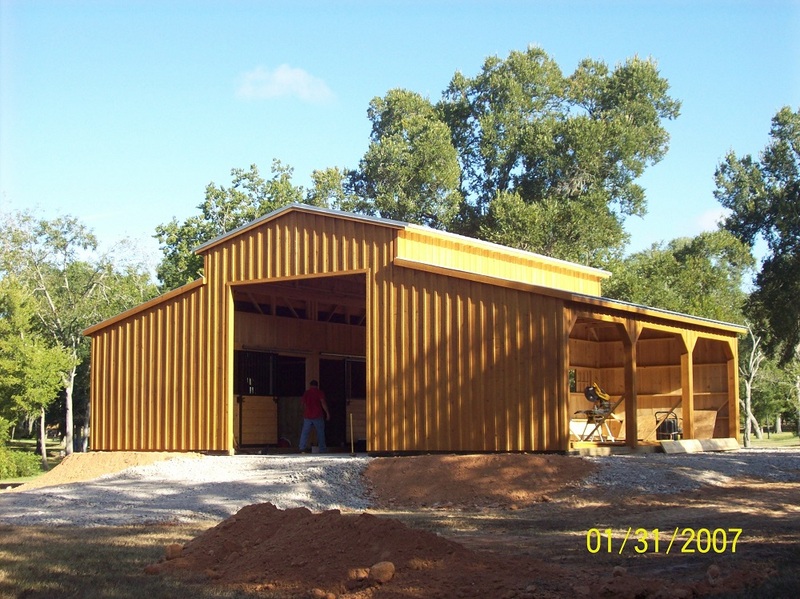 If you need a structure quick, contact us today. 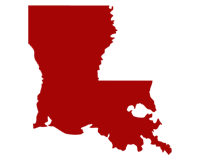 Click your state below to see why choosing Deer Creek Structures for your portable run in shed is the best choice. 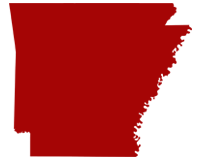 The materials we use are specifically chosen to withstand the elements and make sure that your run in shed stays looking great for years to come.